Having a map on a smartphone that helps you get to places you've never been is now one of the trivial things we didn't have ten years ago. Over the years, there were many companies that tried to perfect their navigation maps and systems, but one that ultimately won the race is Google Maps. With tens of millions of users all over the world, Google Maps has become the main navigational app for mobile devices. Today, the application has gained something that will allow the many to contribute for the benefit of a few. 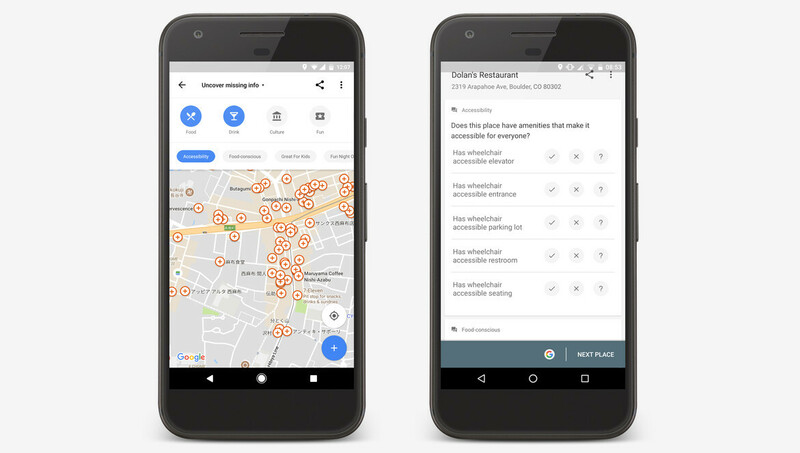 Google has just announced that they're introducing a new way to add accessibility details about places to Google Maps and Search, which will come in handy to those who are stuck in a wheelchair or need an elevator to reach certain areas. If you want to help, you can now open Google Maps for Android, browse the main menu and tap “Your contributions.” Then, choose “Uncover missing info” and sort by “Accessibility” to find places near to you that are missing this particular type of information so that you can start help filling it. The ultimate goal is to have all the info about accessibility features like wheelchair accessible entrances, elevators or accessible seating, available within Google Maps. For the time being, the accessibility attributes Google Maps users can choose from include: wheelchair-accessible entrances, wheelchair-accessible elevators, wheelchair-accessible seating, and wheelchair-accessible parking.